Looking for a hair loss landing page for $10? 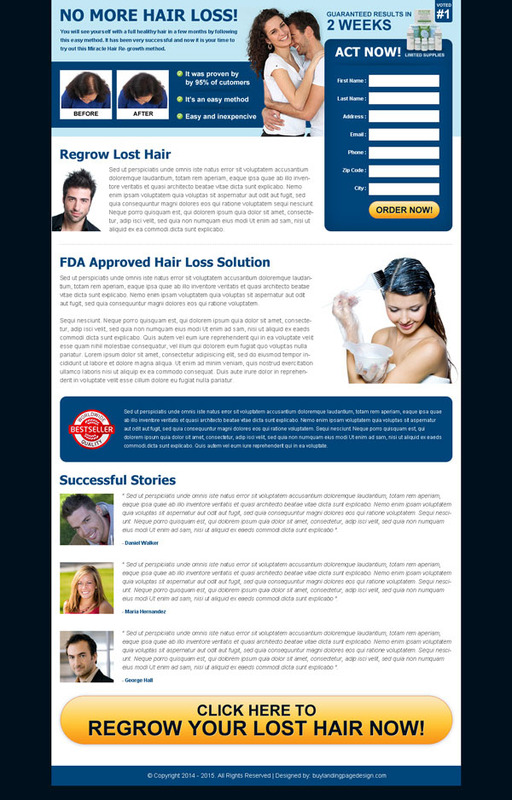 Promote your hair loss products online and capture quality and returning leads with our affordable hair loss landing page designs. Our landing pages are affordable and easy to use, you can edit the content of the landing page with minimum knowledge of HTML/CSS.